Houston's first Uzbek restaurant opens in Willowbrook. 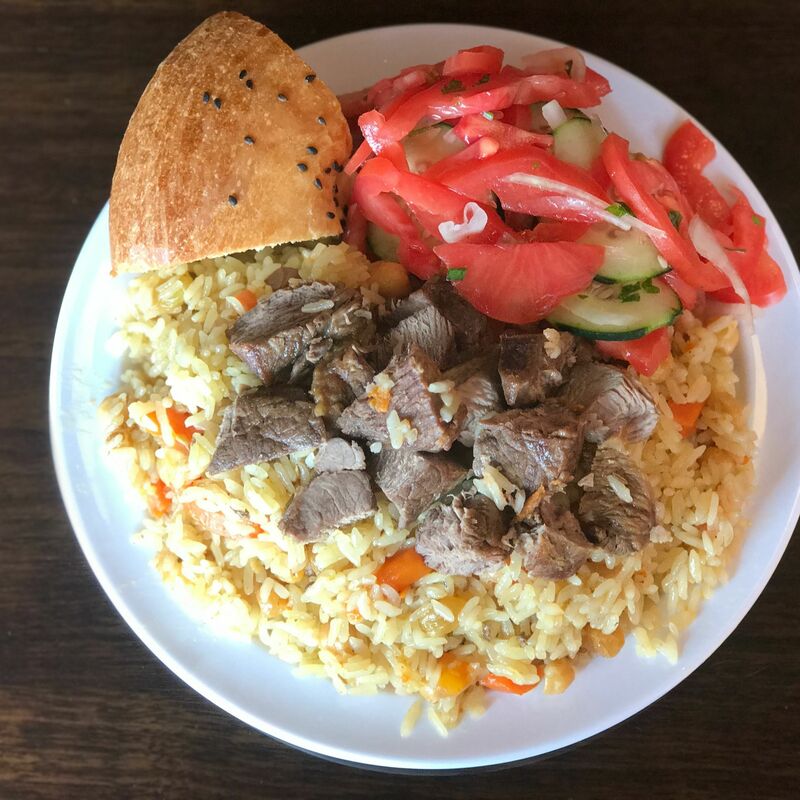 Uzbek plov, a hearty portion for $7.99. 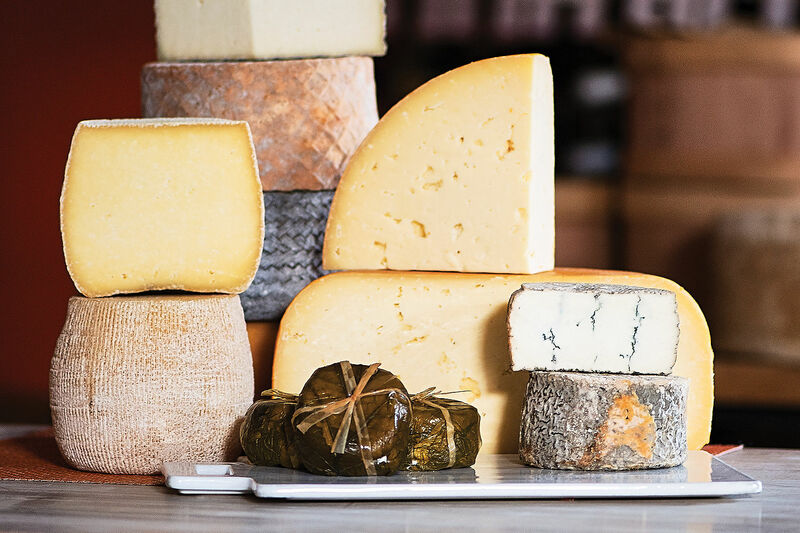 As diverse as Houston's restaurant scene is broadly speaking, it's a thing of wonder to reflect on the kaleidoscope of eateries that serve diners who keep halal. 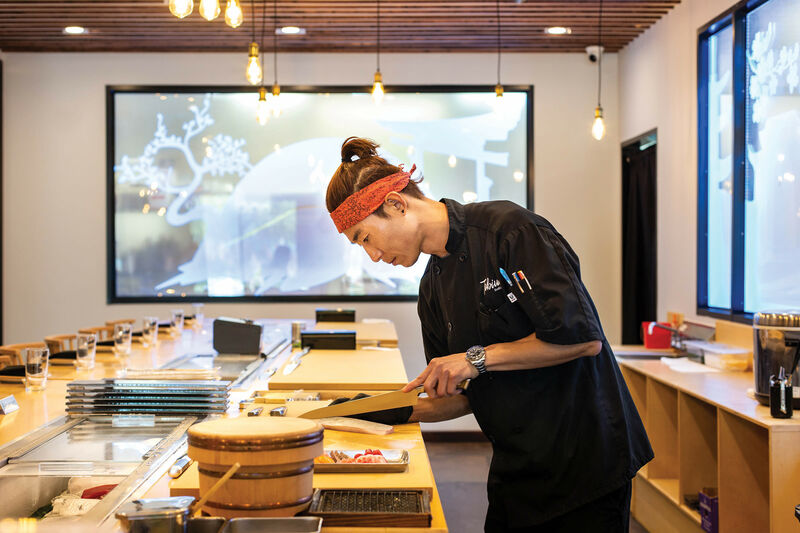 One of the rarest debuted in Willowbrook a few weeks ago, Silk Road Grill. General manager Farrukh Mavlyanov says that not only are all meats halal, but there is no alcohol allowed on the premises. According to his standards, BYOB would make the restaurant less than truly halal. There are absolutely no worries, then, for Muslim diners. But whether you pray to Allah or not, Silk Road Grill is something special. 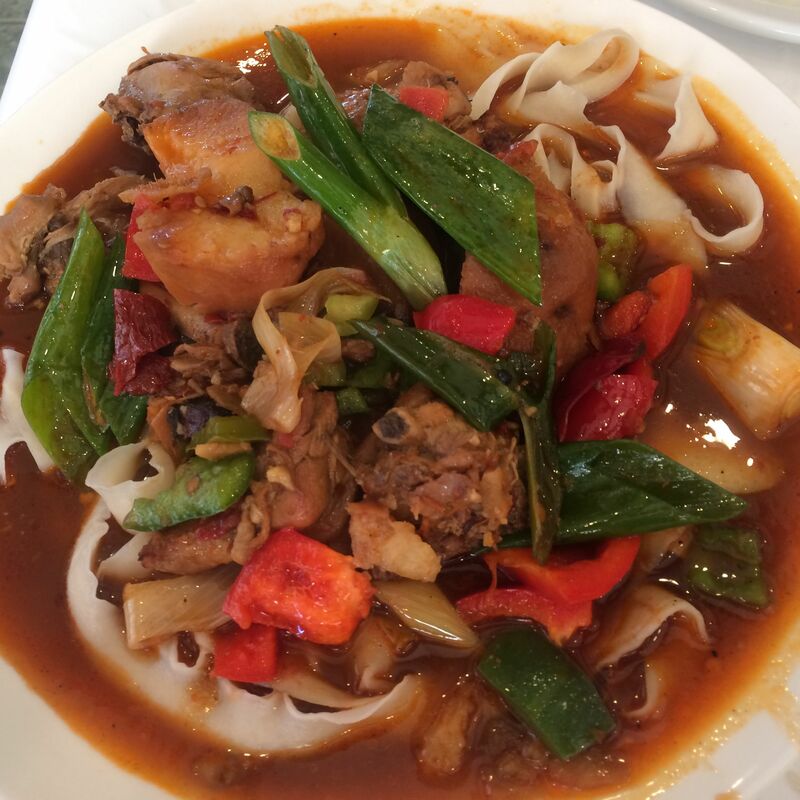 Houston foodies are likely already familiar with Uyghur restaurants Afandim Restaurant and Uyghur Bistro. 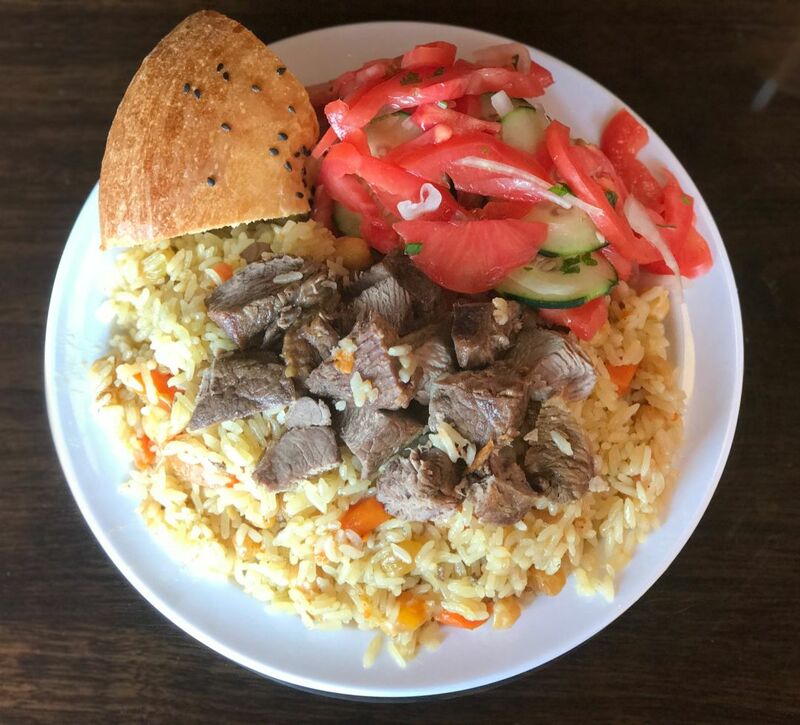 Only Kyrgyzstan (represented in Houston by Sinbad Café & Grill) separates Uzbekistan from Xinjiang, the Chinese autonomous region populated by the Uyghur people. It should come as no surprise, then, that the cuisines are similar. 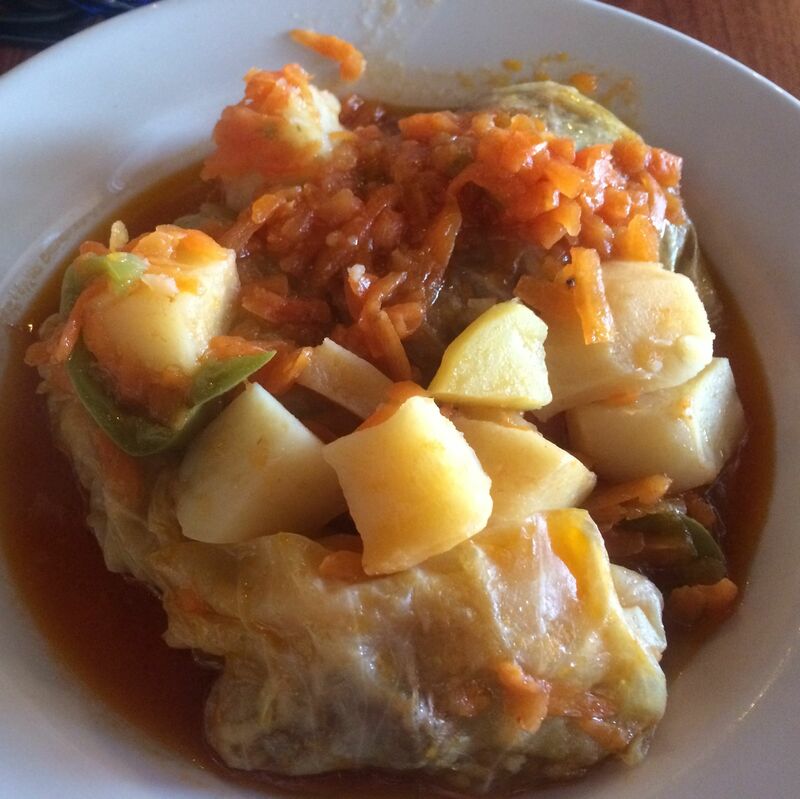 Thanks to a significant Bukharian Jewish population, Uzbek food is prevalent in Queens and Brooklyn. But elsewhere in the United States, it's difficult to find. Rejoice, then, that Houston now has its very own. 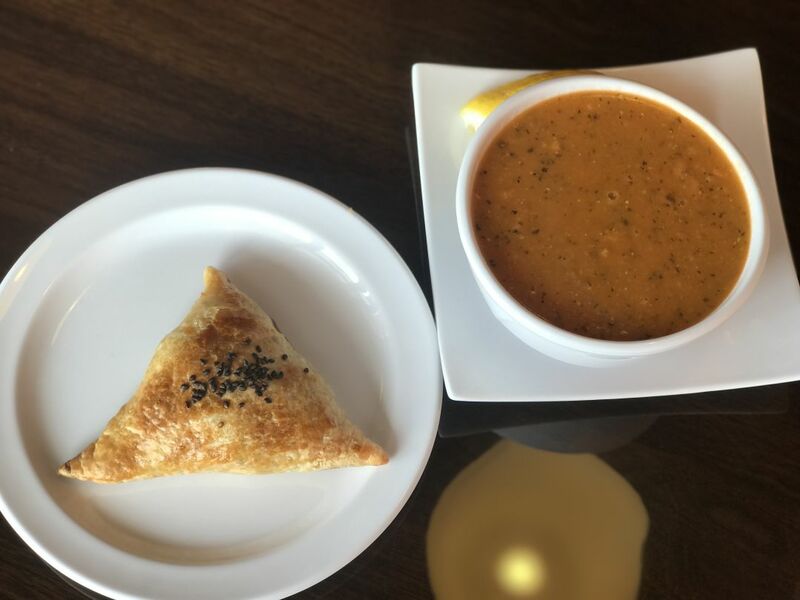 Red lentil soup and a somsa. Mavlyanov says that because of his customers' lack of familiarity with his native cuisine, he's rolling out dishes slowly. 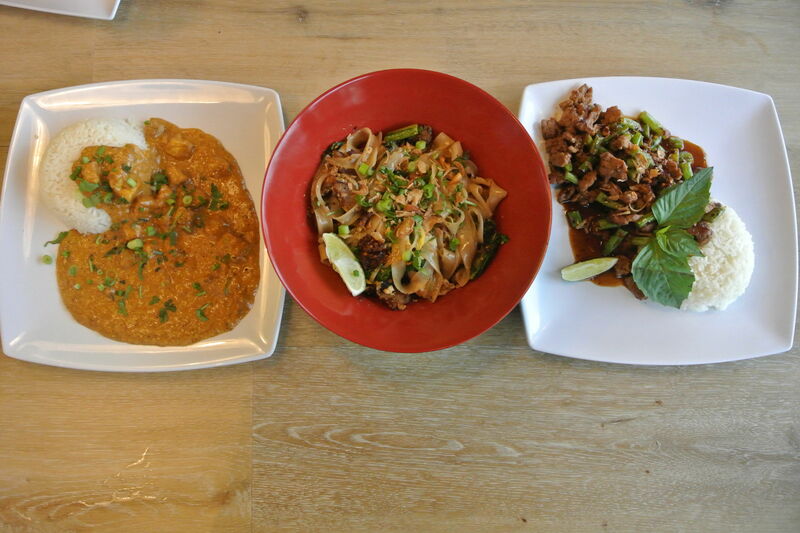 Right now, the menu comprises a mix of Uzbek and Turkish recipes. It's a smart idea. The Turkish-style lentil soup is likably speckled with mint, a good way to lubricate diners to experience another starter, the somsas. The Uzbek take on the samosa has a tender baked exterior that opens to reveal a cumin-scented collection of coarsely chopped beef and onion. Cumin weaves its way throughout Uzbek cuisine, as it does through most of the best culinary traditions. Uzbek plov is dotted with whole cumin seeds, an earthy grounding for the rice dish. Mavlyanov says his chef uses Chinese glutinous rice to best approximate the texture of the breed used back home. The result is a slightly sticky feel that calls to mind a richly brothy, but less creamy, risotto. Soft carrot, chickpeas and plump golden raisins dot the rice. It's topped with fatty chunks of beef and accompanied by a refreshing tomato-cucumber salad. A slice of Uzbek naan has less in common with the Indian bread than with sweet, yeasty focaccia, but with a thicker crust. I wrote recently that in Hungary and Slovakia, the french dessert Oeufs à la Neige are referred to as "bird's milk." Apparently, this trend continues further east. 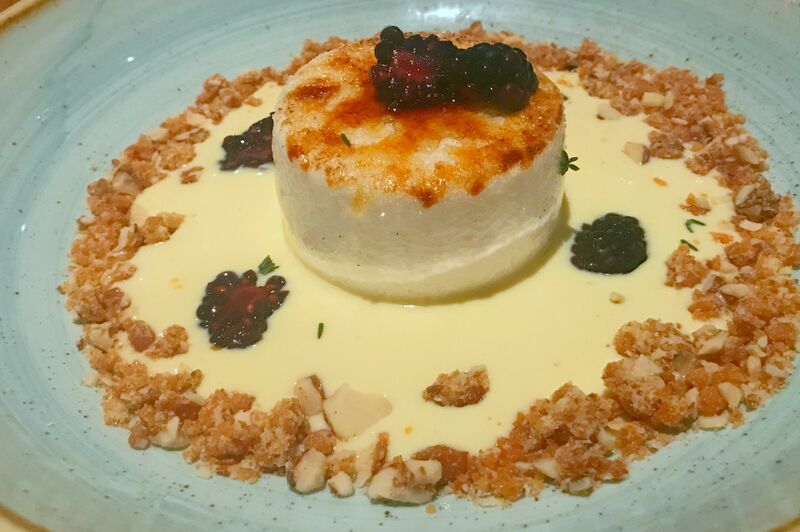 Desserts at Silk Road Grill include tender, moist honey cake; baklava and ptichye moloko, Russian for "bird's milk." But it's no floating island. The Russian cake (don't forget, Uzbekistan was a Soviet republic for the better part of last century) begins with a layer of dense pound cake. It's topped with a thick cloud of meringue that's flavored with blessedly little sugar, then layered with dark chocolate ganache. 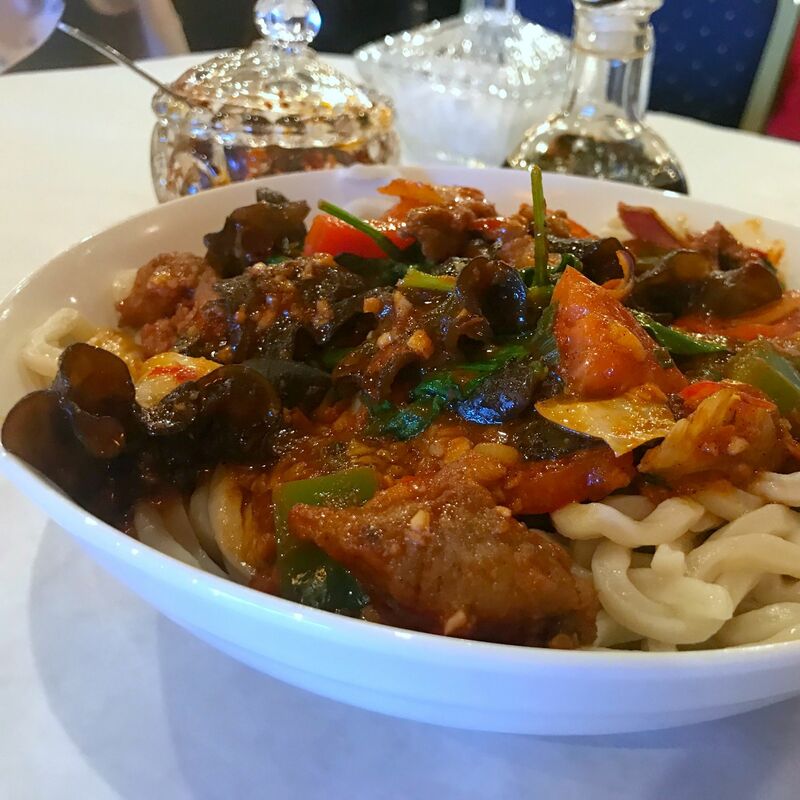 Laghman, the Uyghur hand-pulled noodle dish, is already posted on the menu above the counter. Mavlyanov says it will be available beginning next week. Diners don't have to wait for lamb kebabs marinated in Uzbek style, listed on the menu alongside Turkish doners and gyros. But in the months to come, Houston's only Uzbek experience will become even more complete. $$ Eastern European, Mediterranean 7609 Westheimer Rd. $ Chinese 9888 Bellaire Blvd. $ Chinese 9126 Bellaire Blvd. $ Eastern European, Mediterranean 9211 West Rd.